Destination Unknown: a field guide is a podcast about major change and how to navigate it successfully. The podcast explores how we make our way when the road ahead is unclear. Register today on iTunes. Have you ever found yourself wondering which way is up? Our podcast’s host, Linda Rossetti has. She talks about her experience as a time when the ground fell out from underneath her. That experience inspired her to start Novofemina in 2011 and to write the 5-star rated Amazon top-selling book, Women & Transition. This podcast expands her commitment to helping us navigate our most important moments. Destination Unknown: a field guide talks with guests from around the world about a wide variety of major life changes. These milestones include marriage, divorce, job loss, career change, geographic moves, changes in sexual orientation, death of a loved one, sobriety, infertility, changes in our relationships, boredom and much more. The conversation is an inspiring, honest and practical look at the wonderful life we all have the potential to lead. What will you go when faced with a life altering change? Don’t miss these invaluable mini-episodes designed to inspire you to live every inch of your potential! Destination Unknown: a field guide’s episodes are informal conversations that bring you to our interviewee’s most important moments. Linda talks with guests and shares her expertise, research and practical advice about how to successfully navigate choice, transition and growth. Each episode is a power punch: 12- 20 minutes of wisdom and inspiration. Would you like to join Linda for a conversation on Destination Unknown: a field guide? 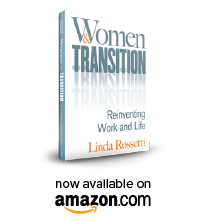 Email Linda at linda@WomenAndTransition.com or @LindaARossetti for specifics. © 2011 – 2019 NovoFemina.com – All rights reserved. No content on this site may be reused in any fashion without written permission from NovoFemina.com.